Have you ever started a conversation about running with a non-runner and ended up regretting it? Like politics, religion and parenting, running is a subject that generates strong opinions. Generally speaking, most runners -- even those at different ends of the performance scale -- will agree on running related topics. 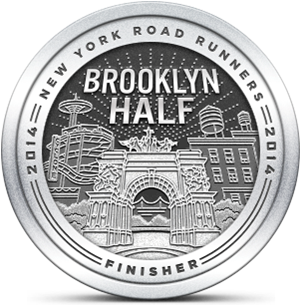 Whether we run seven or eleven minute miles, we all sweat, have to deal with weather and wish we were faster. But discussions with non-runners can sometimes go like this. Non-Runner: What did you do this weekend"
Runner: I did a couple of long runs on Saturday and Sunday. NR: Wow. I'll bet your knees are hurting today. R: Running doesn't hurt your knees. In fact it's been proven that running is good for your knees. 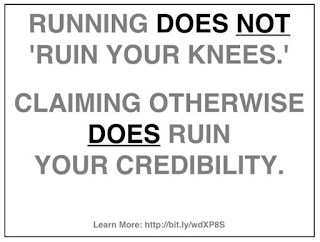 NR: Tell that to my my friend [sibling, spouse, friend of a friend, guy I work with...] who used to run until it ruined their knees. NR: No! I don't want to hurt my knees and besides running is so boring! R: Nice talking to you. If you think I'm exaggerating, I had this conversation with someone at work this week. Others have warned me of other potential maladies, including heart attacks. I will say that the majority of conversations I've had with non-runners are positive. I've heard just as many people tell me they admire runners and wished they had the patience or discipline to run themselves. I haven't been much of a runner this week myself, as my increasingly busy work week has cut into my workout time. I took a vacation day yesterday so I could go out east to the Atlantis Aquarium in Riverhead. We needed to get on the road early and I opted for a treadmill session to save time. Conditions were humid, so I did what I could to move air around the treadmill room. I used the big floor fan and set the built-in fans on the treadmill console to full power. That helped, but only so much. Although I only covered three miles, it felt like six and I was wishing for a nap on the way to the Aquarium. We had a great time in Riverhead, and Atlantis is always a good experience. After a tough week, it was nice to do our first family activity since the kids began their summer break. This morning conditions felt more like spring than summer. It was 65° when I went out and the humidity was far lower than on Friday. I've felt ambivalent about my workouts lately, but today everything worked. The air felt cool throughout my entire run and I was pleased with my stride. I've been reading an article excerpted from Meb Keflezighi's new book and tried to do some of the things he recommended to improve to my form. I felt that today's run was one of the best I've done this year. Scattered thunderstorms are expected to start tonight and continue through most of Sunday. That's disappointing. But you know, weather conditions are just one of the many problems we runners face. I know a few non-runners who would tell you that. What are Meb's recommendations regarding form? Also, those non-runner comments don't bother me at all. You must be very irritable. Pne too many Steely Dan concerts. Meb's points are fairly basic, head position, arm swing, landing, etc. The excerpt is in the May issue of Runners World. I'll give it to you next time we get together. I am irritable, but it's because I don't go to enough Steely Dan concerts. That's right, Pne means One in Canadian. You really pick up the language wherever you go.